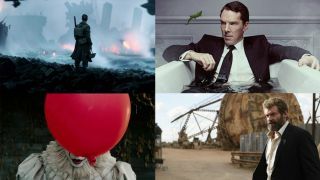 The best 4K TV shows and films on Sky Q Ultra HD | What Hi-Fi? If you've got a 4K TV and you've upgraded to Sky Q, you need to be getting the most out of your set up by enjoying 4K Ultra HD content whenever you can. Thankfully, there's an increasing amount of 4K content available on Sky, whether live, on-demand or via the Sky Store. Sky was one of the first broadcasters out of the blocks with Ultra HD programming, delivering live 4K sport including football and Formula 1. This has now been joined by an increasing number of TV shows and films in Ultra HD (and HDR is coming in 2019). But what to watch? Allow us to make some recommendations. You've probably heard the songs even if you haven't seen this biopic of P.T. Barnum, the legendary circus master and one of the original showman. Hugh Jackman stars in a fittingly entertaining slice of musical theatre that is sure to be on plenty of people's watch lists over the festive season. The masterful Gary Oldman guides us through Churchill's early days as he's forced to find his leadership feet while dealing with the looming threat of a Nazi invasion during the start of World War II. Be gripped and inspired in equal measure. Paul Giamatti and Damian Lewis star in this highly-rated drama about power politics in the world of New York high finance. All three seasons are live on Sky Q right now, and a fourth is in the pipeline for release in 2019.
Who doesn't like Jason Bateman? Exactly. Take a break from re-watching Arrested Development for the millionth time and enjoy instead this clever 2018 comedy. Perfect easy-watching entertainment and available in glorious Ultra HD. Six seasons speaks for itself (4, 5 and 6 are on Sky), and Ray Donovan has consistently delivered for those wanting a brooding anti-hero in the style of Tony Soprano. And while writing something as clever, compelling and downright entertaining as The Sopranos is no easy task, Ray Donovan isn't too far off, showing the shady side of a Hollywood fixer for whom business and family life is never easy. Have you ever wondered if children's TV presenters are really that chirpy all the time? Perhaps Jim Carrey has too. Carrey is the kids' TV host who struggles to deal with daily life despite maintaining his upbeat exterior when it comes to the day job. Strong reviews for this new drama mean it's a fresh addition to our watch list. The world lost a great talent this year when Stan Lee passed away. Best known for his Marvel superheroes, he also worked with Sky on this excellent British drama. James Nesbitt stars as Murder Squad detective Harry Clayton, who's been given the power to control luck. Hence the title. There are three seasons in 4K to binge on Sky. This American drama stars two English actors in the leading roles - Dominic West and Ruth Wilson - and manages to put a fresh spin on seemingly familiar tales of love and lust. The over-arching story is told from each protagonist's perspective, letting the viewer decide who and what to believe as the story unravels. It's well-paced and well-acted, and does just enough each episode to keep you intrigued without giving the game away. There are four seasons in UHD on Sky Q. New in 2018, Benedict Cumberbatch is the titular star of this five-part series based on the novels by Edward St. Aubyn. The series charts Melrose's journey from a traumatic childhood in the South of France, through substance abuse in his twenties in New York and, ultimately, on the road to recovery back home in England. Nick Frost, Rupert Grint and Lindsay Lohan? It's got to be worth a look. This Sky comedy sees Grint playing a down-on-his-luck couch potato whose outlook only changes for the better when he's diagnosed with cancer, and he gets to enjoy the resultant rallying from friends and work colleagues. The twist? He's been wrongly diagnosed and doesn't have cancer at all. There are two seasons to enjoy in 4K on Sky. The new Blade Runner divided opinion and didn't set the box office alight, but if you're a fan of the original we would definitely recommend this follow-up. Harrison Ford and Ryan Gosling star, though the soundtrack and cinematography steal the show. You can enjoy it in 4K, complete with Dolby Atmos, on Sky Q.
Brilliantly-original entertainment from Edgar Wright, Baby Driver is the story of a genius getaway driver (Baby, played by Ansel Elgort), who can only deliver his best driving when listening to music. Much of the action is synced to the excellent soundtrack, which makes for a novel twist, and there are some excellent chase scenes to accompany the great retro sounds. Christoper Nolan's take on the 1940 Dunkirk evacuations of World War II is a sensory overload and best experienced with as many speakers as possible, frankly. A grey, grainy picture sets the mood, while the thunderous sounds successfully capture the horror of being sitting ducks on the beach. It's now available in 4K on Sky Q (and we'd particularly recommend the 4K Blu-ray, too). If you haven't seen this epic trilogy yet, you really should. You can watch the complete Godfather trilogy on Sky right now, though only The Godfather and The Godfather Part II are available in 4K. As it happens, the quality is befitting of the films, with only the last film letting the side down somewhat. But it was a high bar - the first two form arguably the greatest pairing in cinema history. Three years of meticulous 4K restoration ensures a pretty solid picture considering the original was released back in 1972. Ten X-Men films and three Wolverine outings too much for you? Of course not. Logan is tonally completely different to the rest of the usual superhero fare and sees Hugh Jackman (in his final role as Wolverine) trying to hide away from the world, with a predictable lack of success. Much bloody fighting ensues. It's one of the best X-Men films to date, so if you only dip the occasional toe into superhero films, this is one worth watching. It's available to download in 4K until 23rd December. Frances McDormand rightly won the best actress Oscar for her stirring performance in Three Billboards..., expertly delivering a darkly comic role that harks back to her career-defining turn in Fargo. Woody Harrelson and Sam Rockwell are similarly impressive, and while the central story shows human behaviour at its worst, the film does its best to find some light in the darkness.